Virtual teams present different challenges and opportunities from those of an onsite team. Radical trust and good communication are crucial between managers and employees who don’t see each other with any regularity, and while it may sound daunting, hiring the right people—employees who are trustworthy and strong communicators—is the first step. 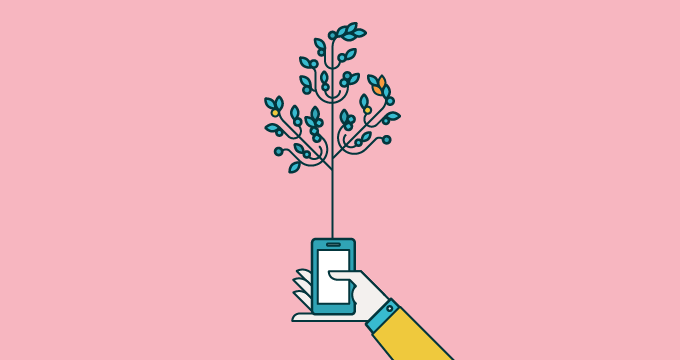 The best virtual employees will have a unique skill set that keeps them from disappearing into the ether, and their self-sufficiency allows managers to focus on creating an environment in which their virtual team will not only function, but thrive. “Virtual” commonly refers to working from home, though the term may also reference a “distributed” team, meaning a team whose members are distributed across several office locations. Either way, managing remotely is a skill that can be learned or further refined by considering what makes a great virtual employee, how to foster good communication, ideas for keeping it fun, and tools that promote efficiency and transparency. Managers of virtual teams consistently emphasize the importance of being able to hire the best candidate for the role, regardless of their physical location. Another benefit is that a virtual team can help provide more comprehensive and timely support for customers. When offering 24/7/365 Tier 1 support, for example, it can be nice to have someone actively working in the time zone that needs the relevant coverage. Managers might need to schedule late night or early morning calls with remote employees around the globe, but the team will be less fatigued and performing at their peak when interacting with customers. Virtual teams can also be advantageous to the employee, offering increased flexibility and quality of life. It might be possible to accommodate someone in California who wants to support East Coast business hours so they can volunteer at their child’s school. Or perhaps a key hire lives 40 miles away and isn’t keen on making the drive to the office. Removing a commute can sometimes add hours back to the day and may allow an employee to pick up their child from school, eat dinner as a family, or make it to the gym. These seemingly small things can go a long way in keeping employees happy and motivated. Ideally, the focus and priority of a virtual team stays where it belongs: on the work. In-office distractions such as politics, water cooler gossip, and needing to spiff up to “business casual” every day are removed. Is there a compelling reason my team needs to be in the same room on a daily basis? For the support my team provides, what tasks are best accomplished in-office and which can be done from home? What tools will my team need to provide remote support? How can I leverage my team’s varying schedules and locations to offer better support? Am I someone who can manage people I don’t see face-to-face on a regular basis? Working remotely is not for everyone, but under the right circumstances and good management, a virtual team can be capable of running itself—and may also be the answer to an organization’s support challenges. It may feel a bit overwhelming to expand the hiring pool from, say, the greater Los Angeles area to…the world. Not to mention sifting through all those resumes. In truth, hiring remotely isn’t much different from hiring locally. The best candidates are still likely to be sourced through networking and recruiting, and hired through a series of phone screenings, interviews, and, with top candidates, an in-person meeting. As skilled agents know, it can be difficult to accurately gauge tone and personality over the Internet, and even sometimes by phone, so it is important to meet face-to-face at the outset. Determining whether a candidate has these qualities may be difficult. If the candidate held a prior remote position and comes with great recommendations, that helps. If not, be wary of any warning signs during the interview process that might signal unreliable or inefficient communication skills. For example, if there were any scheduling conflicts, did the candidate respond proactively with other times they’d be available, and did their response eliminate unnecessary back-and-forth emails? Also consider whether email communications were well stated, both professional and friendly. During the interview, did the candidate ask questions or probe to get clarity? This is an important skill for any customer support agent to have, and the way the candidate handled the interview is likely indicative of future behavior. To help gauge a candidate’s integrity and ability to communicate in stressful situations, present an urgent, circumstance-driven scenario, one with multiple layers of impact, and ask how the candidate would respond. One of the potential drawbacks to a virtual team is that when team members are both remote and working different shifts, there can be delays in communication—and miscommunication or lack of communication can be costly. Team members must be confident and comfortable making decisions at times when there is no one immediately available to reach out to. Ultimately, the best candidates for a virtual team are those who are self-motivated and self-managing, and used to keeping multiple balls in the air. It may seem counter-intuitive, but people who desire flexible schedules so that they can do more with their time…do more. The ideal virtual employee is capable of balancing their workload and extracurricular activities, and having the ability to do so is motivating and part of what makes the job more attractive. Still curious about hiring? Read our guide, "How to hire the best support reps". Too often, remote employees are painted as slouches working from home in their pajamas, or from a Starbucks, where they are undoubtedly checking Facebook or their fantasy sports scores. But in addition to being self-motivated and self-managing, the best virtual employees are also self-regulating. Dedicated remote employees actually run the risk of overworking, and so knowing when to stop is as important as being able to stay on task. While a remote employee who works around the clock sounds like a manager’s boon, overcompensation can quickly lead to burnout. 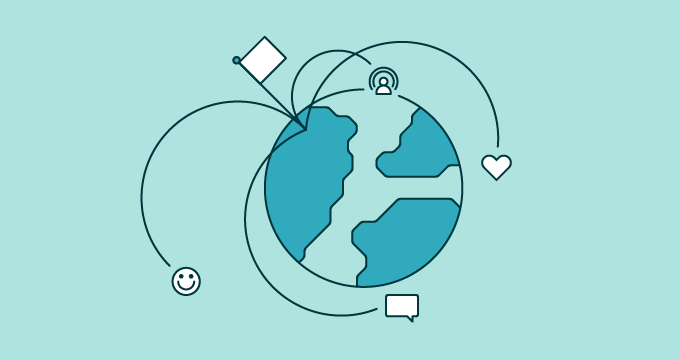 Members of a virtual team will benefit from a strong support network. There will be times when virtual team members are working alone and cannot reach another teammate to ask for help. For this reason, it’s worth the time to provide extensive onboarding and ongoing training opportunities so that each member of the team is equipped with the resources, tools, and confidence they’ll need once they are on their own. There will be times when virtual team members are working alone and cannot reach another teammate to ask for help. For this reason, it’s worth the time to provide extensive onboarding and ongoing training opportunities. There will be times when virtual team members are working alone and cannot reach another teammate to ask for help. For this reason, it’s worth the time to provide extensive onboarding and ongoing training opportunities. Regardless of their location, remote employees should be provided with the same tools that an onsite employee receives: hardware (laptop, monitor, and phone), Internet, and access to IT support. They will also need standard new-hire training on company culture and processes, high-level introductions to different groups within the company, product training, intensive training specific to their role, and on the tools needed to successfully do their job. If possible, much of this training should be in person, with opportunities for peer-to-peer shadowing. The idea is to build rapport and promote conversation from the very beginning. It may also be helpful to have virtual hires train with corporate IT as part of onboarding so that they can learn about machine maintenance, security, network, policy, and procedural issues in the event that something goes haywire. Following initial onboarding, consider having virtual team members participate in a mentorship program or schedule an overlapping hand-off period each day in addition to regularly scheduled 1:1’s and weekly team meetings. It’s also helpful to give everyone access to a shared, online knowledge base where they can make scheduling changes, ask questions, and/or share best practices, tips, and challenges. It’s crucial that virtual employees aren’t afraid to ask questions, especially at times when they recognize they need additional assistance. Implementing a virtual “open door” policy and fostering an attitude of “there are no stupid questions” can help encourage virtual employees to pick up the phone when they need to. Here’s another way to think about onboarding: Each member of a virtual team is essentially the sole inhabitant of an island. The more resources they have, the better. They are their own first line of defense, and if the team is well equipped from the get-go, their survival (read: success) is almost assured. Tools that foster easy communication, promote efficiency and collaboration, and are secure, are huge assets when managing virtually. It’s important to train the team on the use and administration of relevant tools, as well as to set expectations around team processes and policies. Working toward transparency is key. How often do you expect to hear from each virtual employee? How often should each employee interact with other team members? What combination of email, phone, and/or video conferencing works best? What tools will you use? Consider Zoom, Skype, GoToMeeting, Google Hangouts, and Google Talk. Is your team required to log into a support tool or instant messenger during work hours? What other collaborative resources are available? Or, is there an app for that? Here are some ideas: Slack, Confluence, Asana, Flowdock, HipChat, Campfire, Sqwiggle, Hojoki, Podio, and Yammer. Also consider social media monitoring tools like Hootsuite, Sprout Social, and Falcon Social that enable your team to collaborate on tasks generated from social media posts. Who will be responsible for maintaining tools? What is the policy if something goes down while the person who “owns” the tool is offline? Do you have a self-service help center, with a knowledge base and community? What does the support schedule look like? With a virtual/distributed team, do you need an on-call schedule? Can you provide in-person team gatherings? Does each team member understand that periodic travel may be required? How can you promote learning, ownership, and responsibility? How can you foster positivity and constructive feedback when your team is often communicating in writing? One of the central challenges when managing a virtual team is keeping the team from feeling isolated. Onsite teams generally participate in quarterly team-building events, and while these activities are harder to coordinate with a virtual team, they are still important. It’s equally essential to provide perks, rewards, and opportunities to socialize and have fun. Bring the team in for a customer care in-office retreat with opportunities for shadowing, team building, lunches or dinner, meet and greets, or happy hours. Surprise individuals who are doing a good job with a gift card delivered to their email inbox. Promote and support attendance at conferences. It might be fun for a few team members, or even the whole team, to periodically meet in different locations, learn something new, and to share their experiences afterward. Award comp time. While remote employees may be great at managing their workload, they will still appreciate being recognized for times when they’ve gone above and beyond or have worked extra-long hours. Think about the fun benefits that companies sometimes bring in-house and then creatively distribute them to your virtual team. How about an in-home ergonomic consultation or a half-hour back massage? What about a cookie basket or lunch delivery? Consider tools that will help your team work remotely— such as tablets, headphones, phone upgrades—as tangible rewards. Can you budget for an annual team raffle? 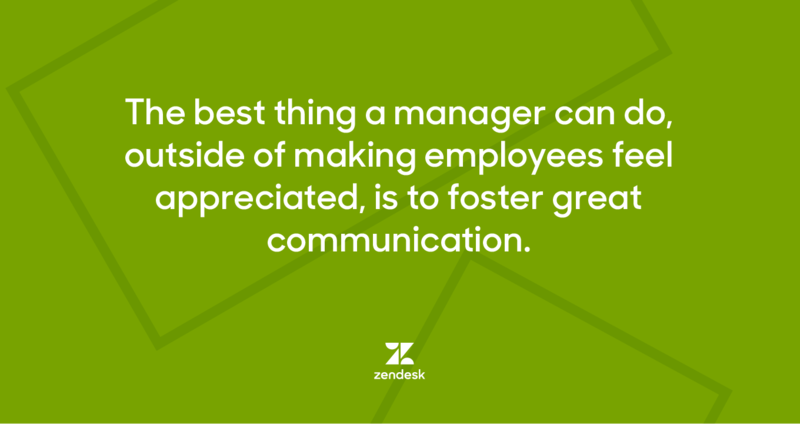 The best thing a manager can do, outside of making employees feel appreciated, is to foster great communication. Managers should communicate as frequently and proactively as they expect their team to. Managing remote employees shouldn’t require micromanagement, but may involve taking some extra time to listen, to say hello in the morning or at the beginning of a shift, and being generally available (or providing alternate contacts) to team members. Visibility is a mutual challenge that both managers and virtual employees have to overcome. Neither party wants to fall too far into the “out of sight, out of mind” vortex. As with any team dynamic, managers and remote employees must actively work on fostering open communication, including both praise and constructive feedback, and on building trust. If managers can place the emphasis on performance and delivery, and look for opportunities to coach and fill gaps in training, a virtual team has the potential to run like a well-oiled machine. To get the PDF version, click below.